TIP: Keep an antenna in your emergency kit! Cold weather is already gripping much of the country and it won’t be long before frozen power lines and slippery roads make for long stretches without essential services. Even if you manage to keep your lights on, there’s no guarantee that the cable company will come through with television or internet. Here in the 21st century being without information can be just as terrifying as being without electricity. The internet may not save you. Of course when we think of information we think not of our TVs but of our cell phones. That’s perfectly natural here in the 21st century. However, the internet, even the internet on your phone, relies on a network of local equipment that all needs power. It also relies on cables that could be knocked out in a weather emergency. Television is a very simple, receive-only technology that doesn’t rely on local equipment. If you have power, you can receive free TV signals. If you don’t have power, a small portable TV may be all you need. They can be found at local convenience stores and supermarkets all over the country. That’s why every emergency kit should include an antenna and a long cable. We recommend the HD-BLADE as an inexpensive choice. No, it won’t do much for you if your TV has no power. However if you have power but no internet or cable TV, it’s a lifesaver. The HD-BLADE takes up almost no space in an emergency kit and it’s resistant to water damage because the antenna elements are encased in plastic. It takes up virtually no room in your emergency kit, either. It can be mounted on a wall or window with painter’s tape and even put outside for short periods of time as long as it’s not actively snowing or raining. If you don’t want to keep that antenna installed all the time, you should probably connect it once and scan for channels. While every TV is different, it usually starts by pressing the MENU button on your TV’s remote and looking for a “setup” or “off-air setup” options. 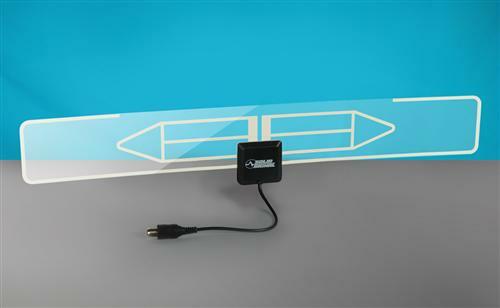 Make sure you are scanning for Antenna channels not Cable channels, and let the TV do its work. It will identify all the antenna signals in your area and lock them in. This is something you should be doing every three months or so right now, since the FCC is shuffling channels around from now until mid-2020. You might find once you have that antenna connected that you get channels you never even heard of. Most people can get over two dozen channels off-air including special interest programming, retro TV and even home shopping. Take a look before you disconnect that antenna and put it in the emergency kit. Give it a thought… the last thing you want while sitting at home is to be without critical information! That’s why an antenna is so important, whether you’re in an emergency situation or not. Shop the great selection now at Solid Signal, or if you have questions, give our techs a call at 877.312.4547. Why are our tripods made of galvanized aluminum?